The Church of St. Dominic Parish Directory is a great way to learn more about the various ministries and how they serve our parishioners as well as others. You can view, download and/or print the directory here. Open to boys and girls in grades 4-12 who wish to assist at parish masses, weddings, and funerals. Prepares parents to baptize their child into the Catholic faith. Parents of first-born children are required to attend the Preparation Program the 3rd Tuesday of each month at 7:30 pm in the Silveri Center in the Chapel. Baptisms are the 2nd & 4th Sunday at 1:30 pm in the Chapel. Please call the Parish Office to register. Join fellow parishioners for lively book discussion and refreshments. Group meets once a month in the evening. For all to participate in works of charity and fellowship; meets the 2nd Tuesday of each month at 7:30 pm in the Silveri Center in the Chapel. Open to adults who desire to praise God in song at Mass. Teens in grades 7-12. Teen Mass every Sunday at 5:00 pm in the Church with monthly scheduled fellowship and community service events. Open to girls and boys for CYO competition in basketball, baseball, soccer, volleyball, swimming and track & field. Parishioners commissioned to assist with distributing communion at masses, the homebound and hospitals. Open to children who want to sing at the 10:00 am Family Mass on Sundays. Group appointed by the pastor which advises him on financial matters affecting the parish. Open to girls in grades K-12 for service to the community and growth in leadership. For all women in the parish interested in works of charity and Catholic socializing. Meets the first Tuesday of each month at 7:30 pm in the Social Room. Men’s organization, 18 years or older to join, driven by Charity. Meets 1st & 3rd Wednesday in the Silveri Center. Explores the Bible to find answers that apply to everyday life; trying to gain wisdom, guidance, answers, understanding and love through God's Holy Word. Open to parishioners for reading the Word of God at parish masses and liturgies. 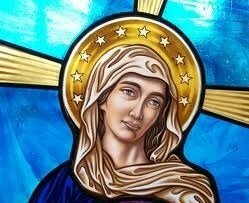 For those with a special devotion to Our Lady and willing to share their faith with the hospitalized. Meet Monday nights in the Silveri Center. To provide support and assistance to family members of the deceased who are preparing for a funeral mass or service. Charged with the responsibility of promoting awareness, building relationships and raising funds to help further the mission of the Parish and Schools of Saint Dominic. The Parish Life Committee organizes and/or sponsors both spiritual and social activities to fulfill the mission of the RomanCatholic Church of Saint Dominic. Membership includes the heads of various ministries of the Parish. Address client needs, through assessment, that range from food, clothing, shelter, holiday drives, advocacy and other necessities. PSM also provides bereavement support groups in the spring and fall to those who are grieving. An advisory committee appointed by the pastor to assist in determining the needs and objectives of our parish community. For engaged couples in preparation for the Sacrament of Marriage. Mandatory for all couples before marriage. Strives to educate all on the dignity of all life from the moment of fertilization to the time of natural death. For adults wanting to convert to Catholicism, or Catholics in need of the sacraments of First Communion and/or Confirmation. Public and Private school children in grades 1-8 are instructed on Sacred Scripture, Tradition, Liturgy, Church Teachings and the life of the Church. For those adults and teens who work to organize the sacristies and services in the church and chapel. Serves the spiritual and temporal needs of our growing Hispanic family. Co-sponsored by the Church of Saint Dominic and The First Presbyterian Church of Oyster Bay. Open to young people in grades Pre-K to 6. Young people in grade 7 and up are needed to volunteer as assistant crew leaders. Open to men and women for taking up the Sunday collection, greeting parishioners and distributing bulletin. Discusses life's everyday experiences with prayer and reflection for Senior Citizens. Mondays at 10 am in the Silveri Center.